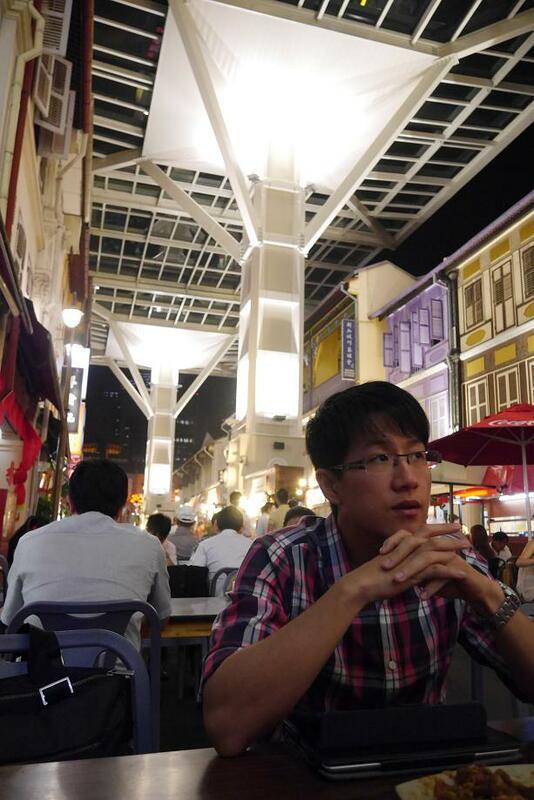 I enjoyed my stay at Amoy Hotel primarily because of its awesome location – Chinatown is a foodie’s paradise. 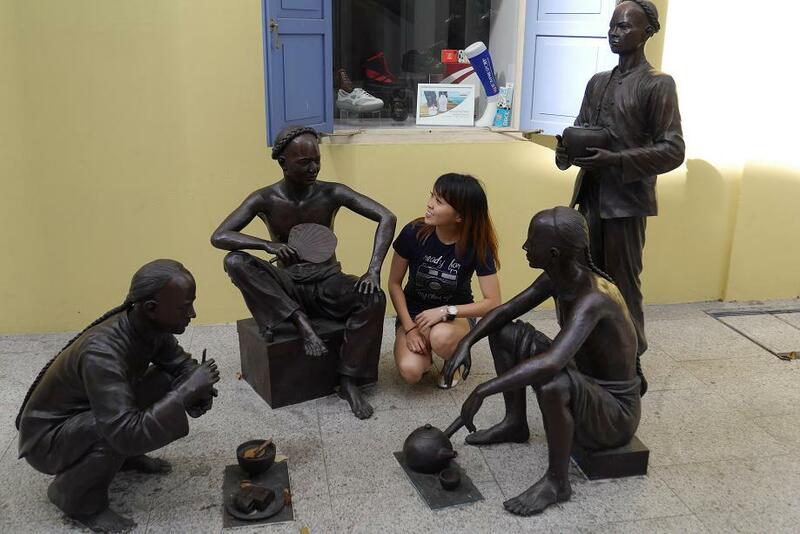 Read my Amoy Hotel review here and a little piece on the Fuk Tak Chi Museum right here. I’d checked in on a Sunday, when most of the restaurants and shops around the hotel were closed. 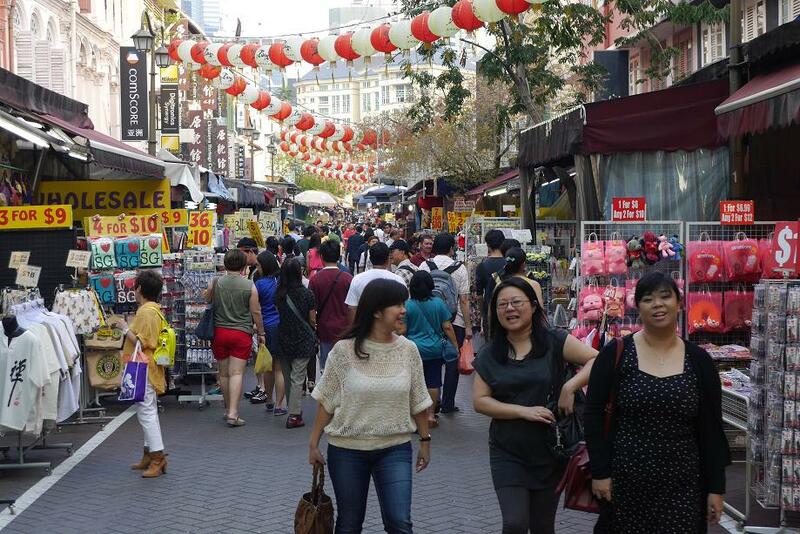 It was no cause for worry because just 5 to 10 minutes away is the rest of Chinatown where I can shop and mainly, eat to my heart’s content. 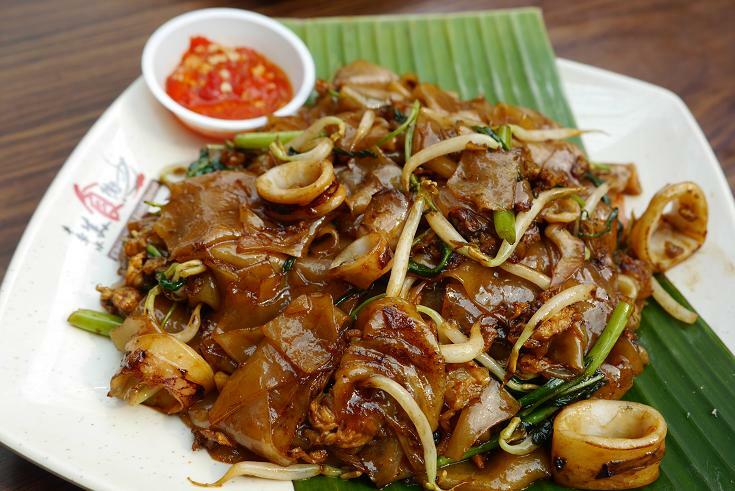 So here’s a quick (and hopefully useful) guide to what to do / see / eat after you have dropped off your luggage at Amoy Hotel! 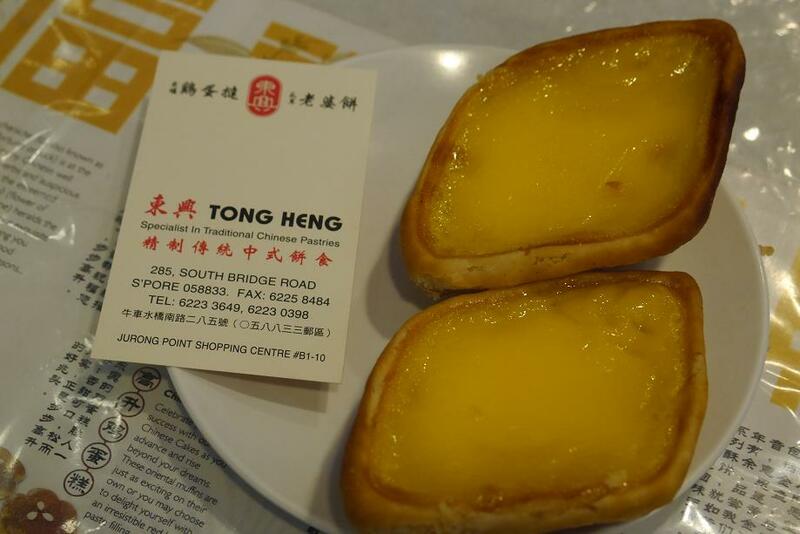 In the immediate vicinity of the hotel are restaurants like Hock Lam Beef, Honzen Express and Sushi Tei (among others) – all of which I would recommend. 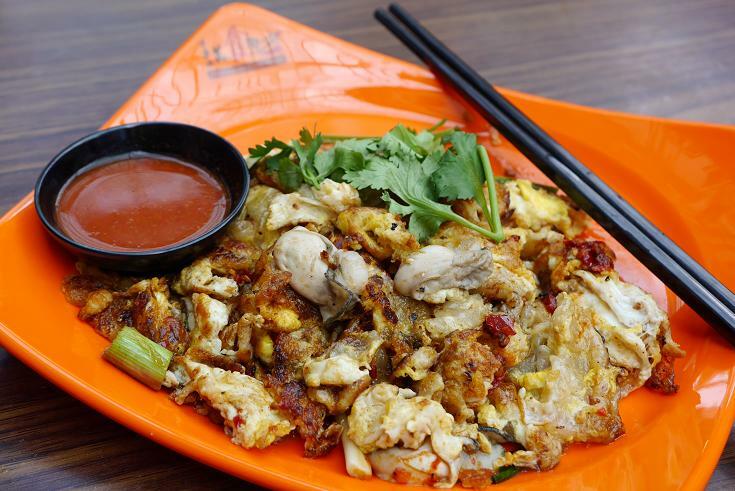 For breakfast, you can also skip the hotel breakfast if it does not impress you and pop by Ya Kun Kaya Toast to taste what locals would eat – kaya toast, soft-boiled eggs and a cup of coffee. 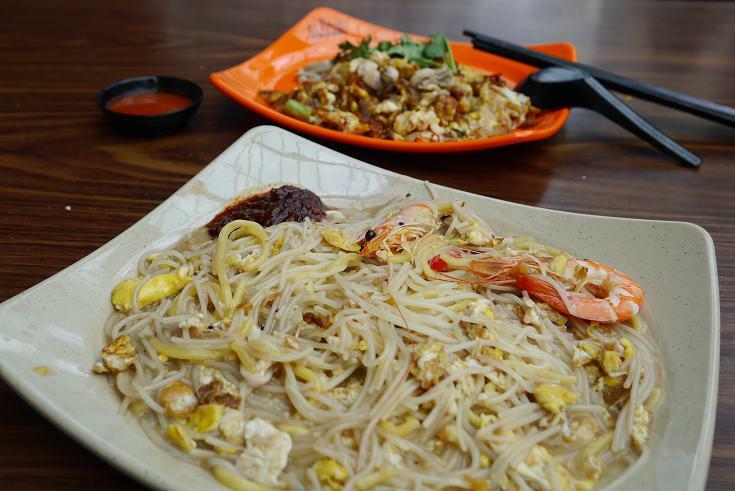 If you don’t have much time to explore other parts of Singapore for good food, then you are in luck! 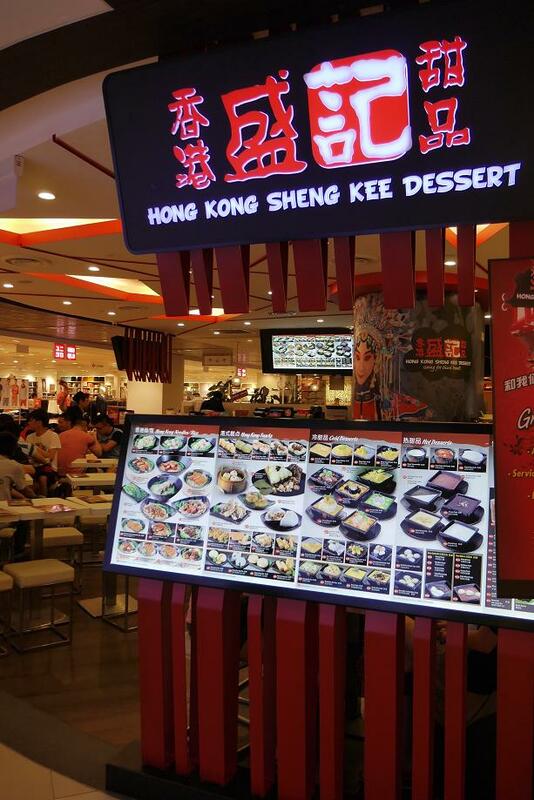 The newly-opened Chinatown Food Street brings together the best of hawker food around the island. 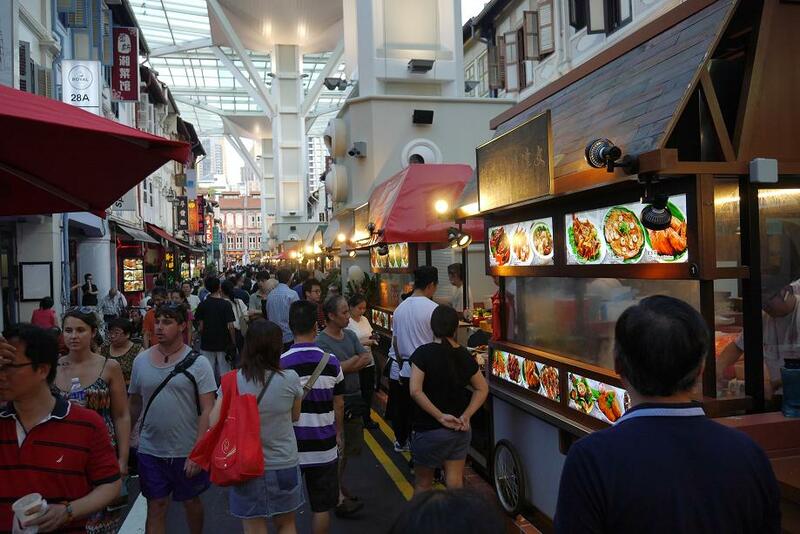 Head over to the Food Street to try satay from Newton Circus, BBQ Chicken Wings from Chomp Chomp, Cheng Kee Hokkien Mee, Fried Oysters from Katong, and much much more! 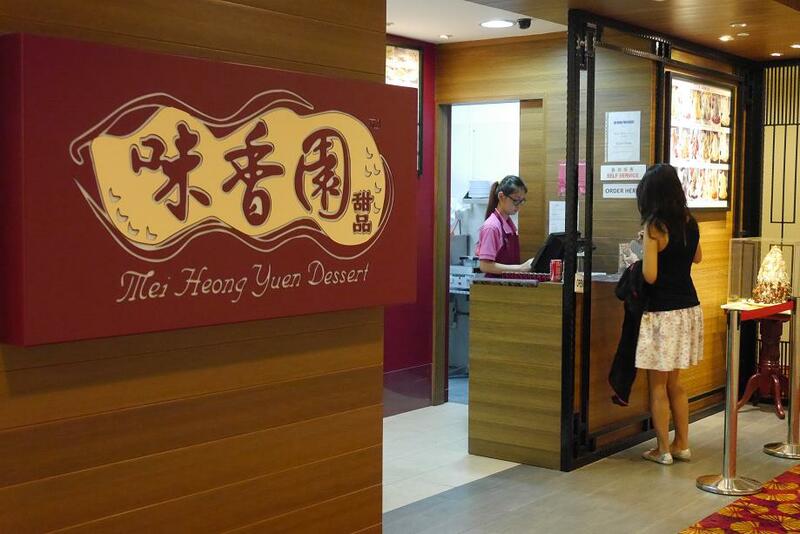 Head to Chinatown Point, where you will find, at the basement, Mei Heong Yuen Dessert, which is popular for its range of ‘snow ice desserts’. 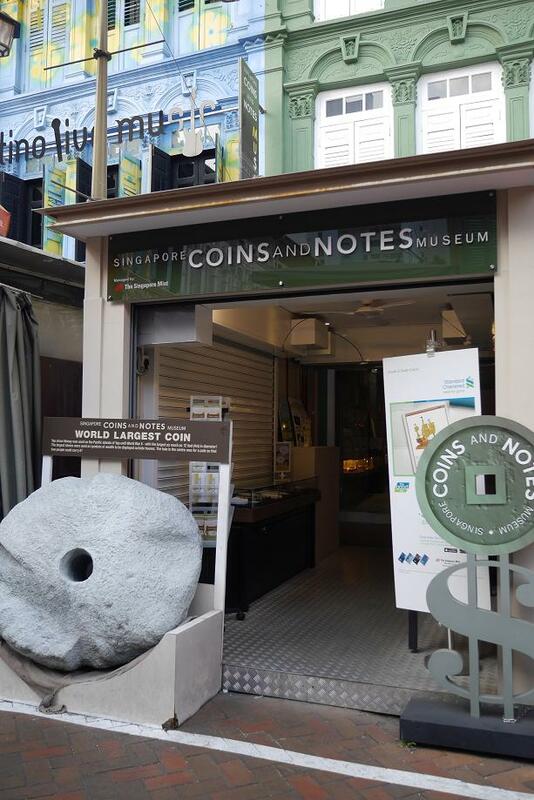 Pop by China Square Central (less than a 5 minute walk away) and head to the basement. At #B1-02 is LINS Smoodees where you can order green smoothies which are oh-so-yummy and so good for your body. 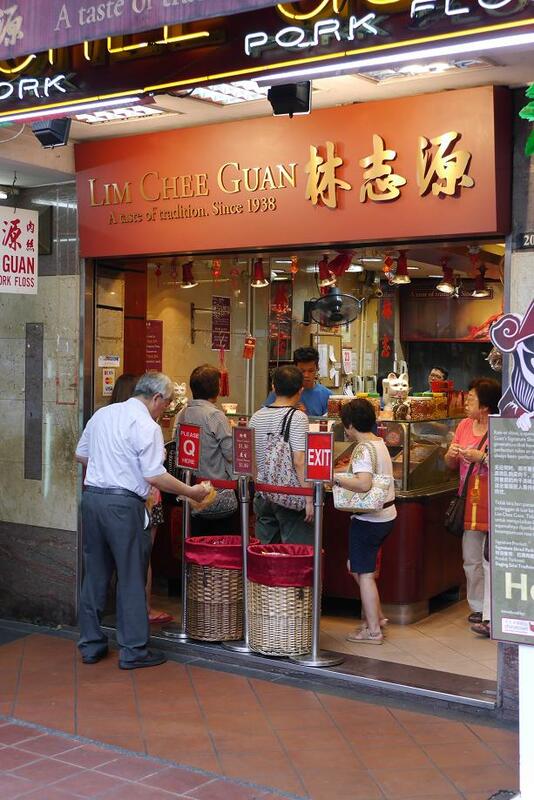 Do try their herbal porridge as well, which I highly recommend. If you’re experiencing jet lag or just feeling under the weather, what you get at LINS will surely perk you up. Amoy Hotel does not come with a gym, but just downstairs is the Evolve Mixed Martial Arts studio. Pop by for a workout if you will. A little further is True Fitness at China Square Central’s basement. 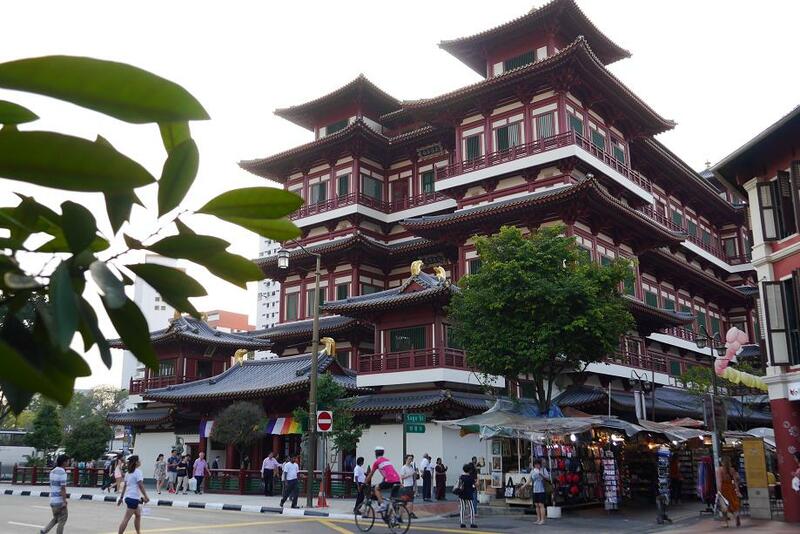 If you like snapping pictures of temples and/or visiting them, there is the famous Buddha Tooth Relic Temple and the equally famous Sri Mariamman Temple (the oldest Hindu temple in Singapore). 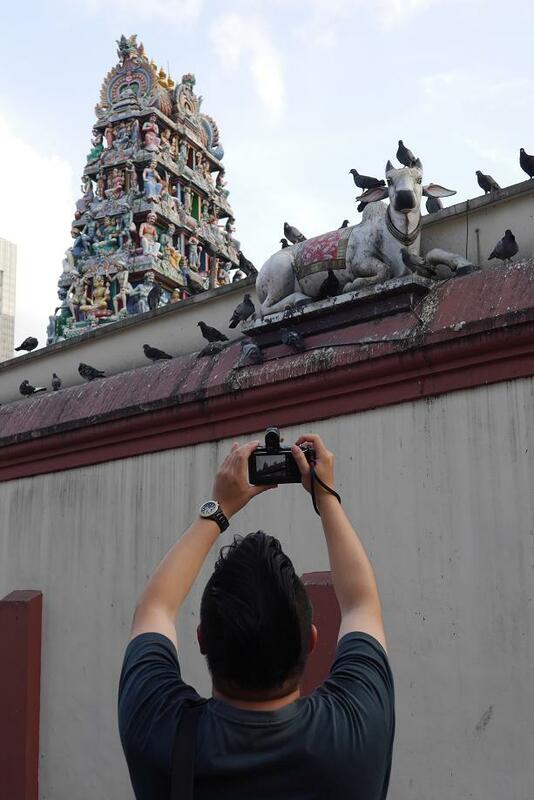 The Sri Mariamman Temple was constructed in 1827 and today, it is best known for the fire-walking ceremony, or Theemithi, that is held every October or November. Devotees would walk on hot coals as a test of their faith and devotion. 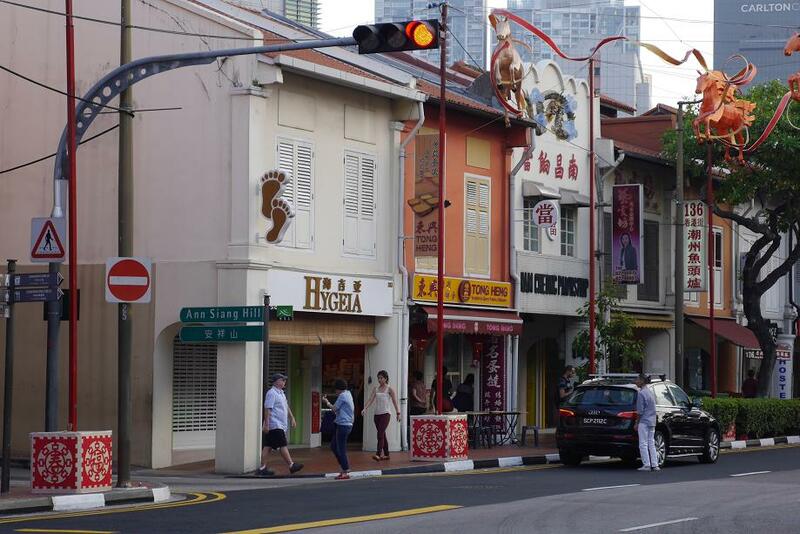 At Chinatown Point are some shops which may interest you. 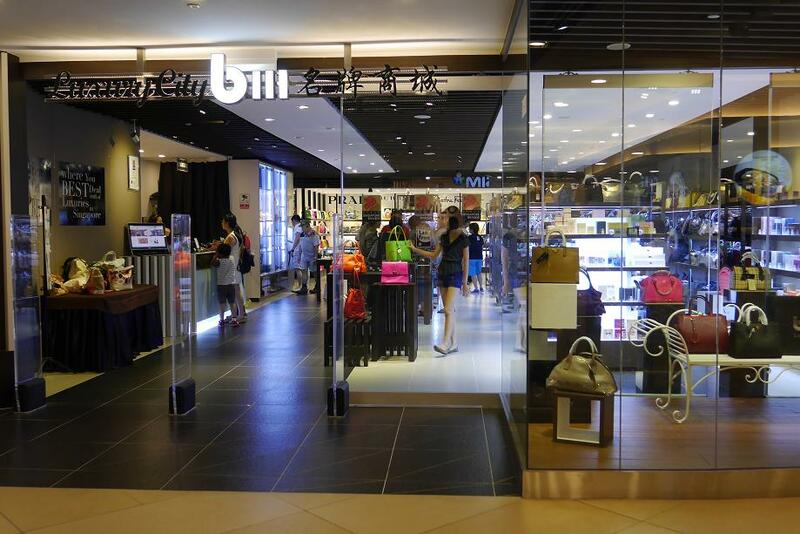 Fans of branded goods will love Luxury City where branded items (supposedly authentic, but of past seasons) are sold at a discount. 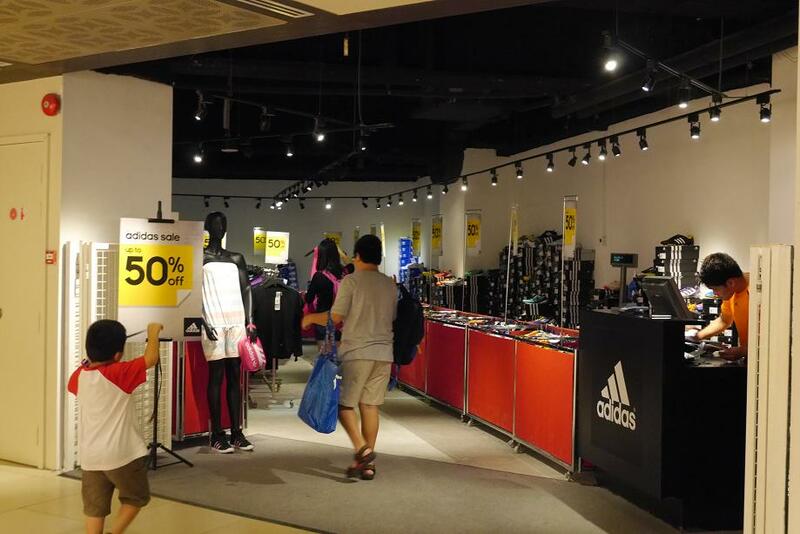 Also visit the Adidas pop-up store if you would like to get some cheap sporting gear – for instance, you can get a pair of Adidas running shoes at just over S$60. *This list is by no means exhaustive of course. 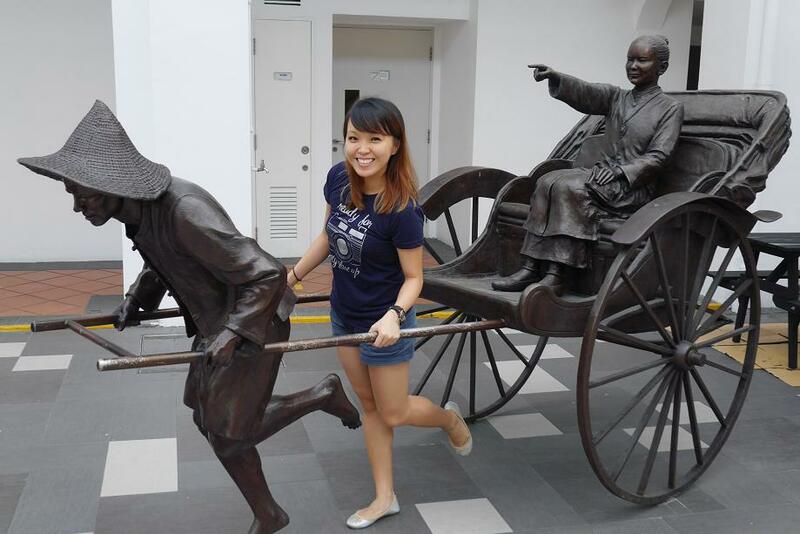 Just what I did after checking in at Amoy Hotel. 🙂 If you need more recommendations, feel free to approach the staff. This entry was posted in Food, Holidays!, Hotels, Travel and tagged adidas, amoy hotel, amoy hotel review, bak kwa, buddha tooth relic temple, china square central, chinatown, chinatown food street, chinatown point, chinese family names, chinese immigrants, chinese surnames, chinese temples in singapore, coins and notes museum, evolve mma, Far East Hotels, far east square, fuk tak chi museum, fuk tak chi temple, hock lam beef, hong kong sheng kee dessert, honzen express, hotel, hotel review, hotels in chinatown, lim chee guan, Lins Smoodees, luxury city, mei heong yuen dessert, Singapore, singapore hotels, sri mariamman temple, Staycation, Sushi Tei, tintin shop, tong heng, tong heng egg tart, what to do in chinatown, what to eat in chinatown, ya kun kaya toast by Grace Tan. Bookmark the permalink. 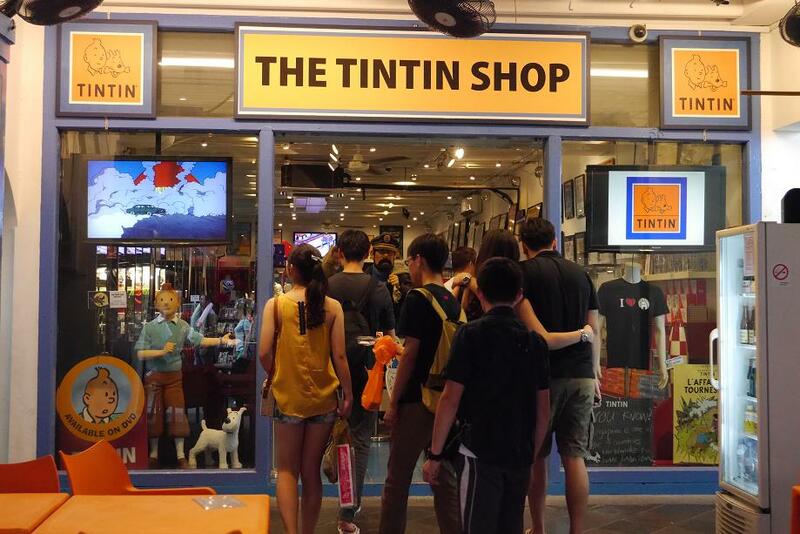 Wow, from your post, I found that China Town really gathers many sorts of activities, including foods (so many kind of them), sight-seeing, and shopping. It’s really a great place to go over. Bak Kwa’s price is about the same with Malaysia’s (excluding the conversion).